I met Mare Cromwell, one of the most interesting writers I know, at the Maryland Writers Association's annual conference. * A master gardener, Cromwell is the author of an audaciously original book based on her interviews with a Cheokee Medicine Woman, a Death Row inmate, an Afghani Sufi Mystic, a Catholic, a Jew, and several praying kids: If I Gave You God's Phone Number... Searching for Spirituality in America. A finalist in ForeWord Magazine's 2003 Book of the Year Awards, it has just been reissued as an e-book, which you can find on both amazon.com and smashwords (and iBook and Nook very soon). The hardcover edition is also available here. Read an excerpt, an interview with poet John Terlazzo, here. If the idea of being able to telephone God is amazing, well, certainly, so is the telephone itself. Isn't that something to contemplate? Over to you, Mare. Ever since the invention of the telephone, thanks to the brilliant Alexander Graham Bell, we’ve been able to dial a number on a piece of gadgetry and hear a voice on the other end. What was considered a miracle in the 1870’s, we now take for granted. Today we even carry phones with us wherever we go – a technological umbilical cord that keeps us connected where we go. Over the decades some telephone numbers have emblazoned themselves across our cultural consciousness. Some we can rattle off without thinking. Others made their mark and then faded away. Here’s a list of famous telephone numbers, most known for more than just dialing. The number you hope you never have to call for police, fire or ambulance. Tommy Tutone released this song in 1962. Apparently, Tommy Heath, the lead singer of the group, had a girlfriend with this actual number. Cowritten by Marvin Gaye and two other men, this song was sung by the Marvelettes, a Motown group in the early ‘60’s. In the film Bruce Almighty, God (Morgan Freeman) pages Bruce (Jim Carrey) and the pager reveals a seven digit phone number that is not one of the fictional 555 exchange numbers traditionally used by Hollywood. 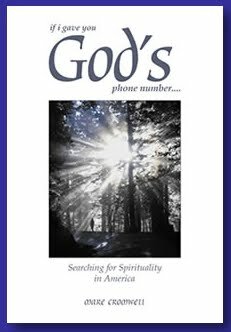 As soon as the movie aired, people started calling the number in their own area code and requesting ‘God.’ Serendipitously, a pastor named Bruce in North Carolina possessed the number. Those whose phones were the number experienced weeks of grief from the countless calls to God across the nation. *So you beginning writers wondering, "how can I meet other writers?" -- Go thee now to a writers conference. Seriously, joining your local writers association and showing up at their meetings, whether small get-togethers, open mics, or a conference (name tags, keynote speaker, rubber chicken, and all), is one of the best things you do for yourself as a writer. -->Read Cromwell's For the Earth blog, and her recent guest-blog post about her book for The Journey: Not About the Striving But the Opening. -->For the complete archive of Madam Mayo's guest-blog posts, click here. Recent guest-bloggers include Julia Sussner on explorable apps, Eva Schweitzer on Berlin, Sam Quinones on true stories, Eric D. Goodman on train stories, and Susan Coll on comic novels. 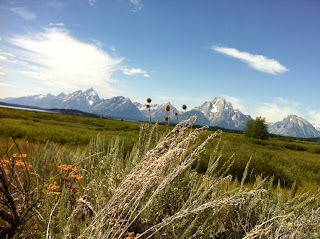 Just back from Jackson Hole, Wyoming. Their very interesting Historical Museum has just moved into spiffy new digs. P.S. 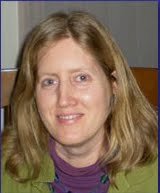 Read Goodman's guest-blog post for Madam Mayo. An ever-amazing blog, Check out this post on the Chikanobu woodblock prints. In her own words, Sussner "approaches the digital realm as an inhabitable space – one which requires design, clarity and comfort in use." I can attest to that: her Paris walking tours are a wonder, utilizing GPS to allow the user to stroll to the exact spot a painting was made and to instantly compare paintings to contemporary photographs (and insert one's own). The apps also include recommended shops and cafes en route (and Julia's recommendations are the best). 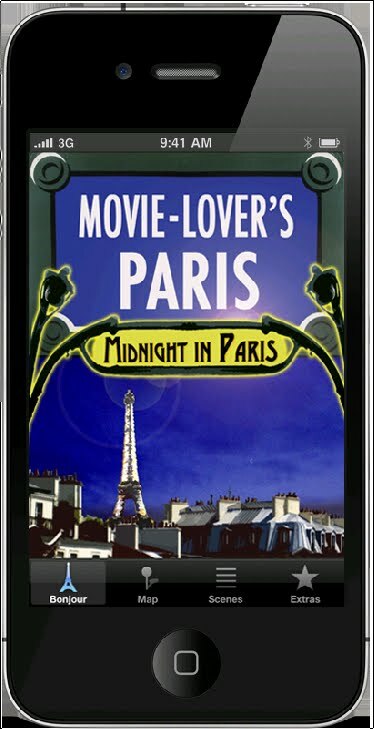 Parsing Place has just released a Movie Lover’s Paris app for the recent Woody Allen charmfest of a film, "Midnight in Paris." By overlapping the fictional world onto the map of Paris, the narrative from the movie provides a unique portal through which to explore the city. Don't go to Paris, whether by airplane or armchair, without it! There was a period when interactive narrative meant ‘choose your own adventure’ books – while the concept remains timeless, it’s refreshing to see this mode of storytelling reappear. The sky is not the limit, it’s just the beginning with this app. The celestial landscape is reconfigured according to your place and time. Exploring billion-year-old formations with an iPhone is oddly beautiful. (Watch the Ted Talk video) This digital version takes the physicality of a book and evolves the components into objects with functions. The reader is now an interactor. Having a camera in your phone means you can capture and save moments as a visual archive. Image processing apps, such as Camera +, let you take better pictures and enhance them – giving a handcrafted edge to the images. But most important are the chemical-free darkroom thrills, right at your fingertips. --->For the complete archive of Madam Mayo guest blog posts, click here. 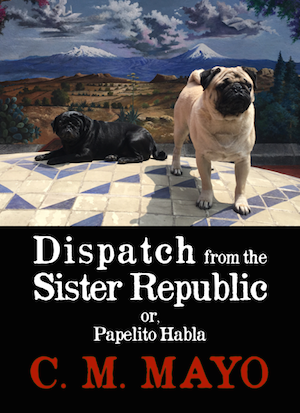 --->Recent guest-bloggers include Eva Schweitzer on the Berlin Wall, Sam Quinones on true tales, and Eric D. Goodman on train stories and, way back when, Nancy Levine on pugs. 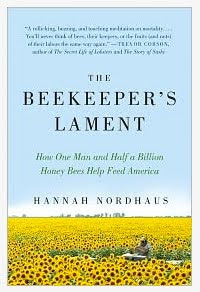 Here's one for my top 10 books read list 2011: the beautifully told The Beekeeper's Lament by Hannah Nordhaus. Think of it as an update (circa the Apocalypse) to Douglas Whynott's Following the Bloom. Read Nordhaus' interview with The Millions here. Translator and writer Kyle Semmel 5 Links "Out of Denmark"
When food and fiction intertwine, the pairing can be a delight to the literary palate. And where better than France to explore culinary literature? ... Prize-winning writers gather around our banquet table to offer up appetizers, entrees, and of course desserts." I must be getting old but it really does seem like yesterday that I walked into my office and, from a tinny radio, heard the first absolutely astonishing news about the fall of the Berlin Wall. For those of us born in the early 60s, the Berlin Wall, had seemed a feature of the European landscape as immovable as any mountain-- and then, in a blink, it was smashed to rubble and carted off, in part, as souvenirs. Guestblogs usually run on Wednesdays but this week I had to make an exception, for August 13th is the 50th anniversary of the buidling of the Berlin Wall and apropos of that, I am delighted to run this post by Berlinica's founding editor, Dr. Eva C. Schweitzer. Berlinica is one of the most unique small presses in the US. Based in New York, its niche is Berlin: books on Berlin as varied as guides, histories and novels, as well as music and movies. The other day, I visited Zwingli Church in Berlin; a protestant church in the Eastern district of Friedrichshain. The church is a museum today, it has a new exhibit about the Berlin Wall. It is fairly close to where the Wall has been, at Oberbaumbrücke, today a fancy riverside strip with many restaurants. The Wall has been built fifty years ago on the day, on August 13, 1961. There is a lot of rememberance going on in Berlin in these weeks, exhibits, speeches, debates, architectural models, but this one I found especially touching, because my father was baptized in Zwingli Church. The exhibit showed a dozen people who were living in the area in 1961; black-and-white pictures, and memories. It tells stories about families that were torn apart overnight, young men that were shot or jailed trying to rescue their girlfriends, children stuck in the wrong part of town. It seemed so long ago, with those children dressed in lederhosen, and women wearing buns, and aprons. My father could have been one of them, but he left Berlin in 1944, due to the war, and never returned. Actually, after the Wall was built, most people in the Western part of Berlin left. Now, living in New York, I'm part of that huge wave of memories that is sweeping Berlin. I have founded a Berlin-themed publishing company, Berlinica Publishing LLC that brings Berlin books, music, and movies to America. 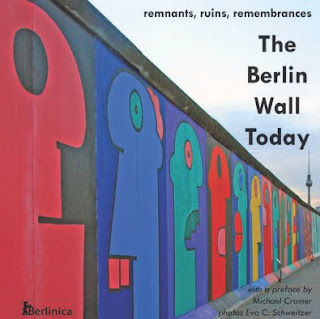 Our newest book is The Berlin Wall Today, a color picture guide about everything that is left of the Wall, in English and German. There are only three long stretches left, at Bernauer Straße, the Museum of the Topography of Terror, and the East Side Gallery. But there are smaller parts as well, hidden within Prussian cementaries, in back yards, or guarding train tracks or lofts. There is also a Berlin Wall Trail, which leads the visitor to interesting spots. Two slabs of the Wall are also standing in front of Zwingli Church. So, check out the book, and also, some of the exhibits if you are in Berlin! This is the exhibit in Zwinglikirche, near S- and U-Bahn Warschauer Straße. It is open from Thursday to Sunday, 4 pm to 7 pm. This is a clip on YouTube about where the Wall has been, posted by the city agency Berlin Partners. It is architectural model of Berlin in the 1960s and later. The German Historical Museum in Berlin Unter den Linden has a photo exhibit about surviving with the Wall, by Thomas Hoepker and Daniel Biskup. This is an exhibit at the New Museum in New York City, Ostalgia; about people who miss the East and living in the GDR. P.S. Check out Berlinica's fascinating forthcoming titles also. Recent guest-bloggers include Sam Quinones on true tales, Eric D. Goodman on train stories, and Susan Coll on comic novels. 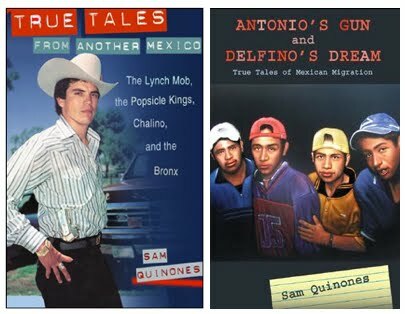 It's a very special honor to host Sam Quinones this Wednesday because he is one of the writers I most admire. Some years ago, I gave his book True Tales from Another Mexico a heart-felt rave review in the Wilson Quarterly. Later, when his collection Antonio's Gun and Delfino's Dream came out, I placed it on my top 10 list for 2007. Quinones writes about Mexico and Mexican immigrants, and with more originality, insight and sheer grit than anyone else out there. (As someone who is married to a Mexican and has lived in and written about Mexico for 25 years, I'm not an easy customer in this department.) Sam Quinones's writing is something very special, so waste not a minute, go read his books-- after you read his guest-blog post, that is. 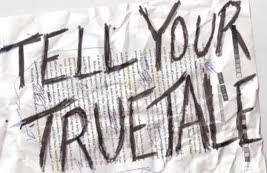 And send him your true tale. Hi there. I’m Sam Quinones. I’m a reporter and author of two books about Mexico and Mexican immigration. 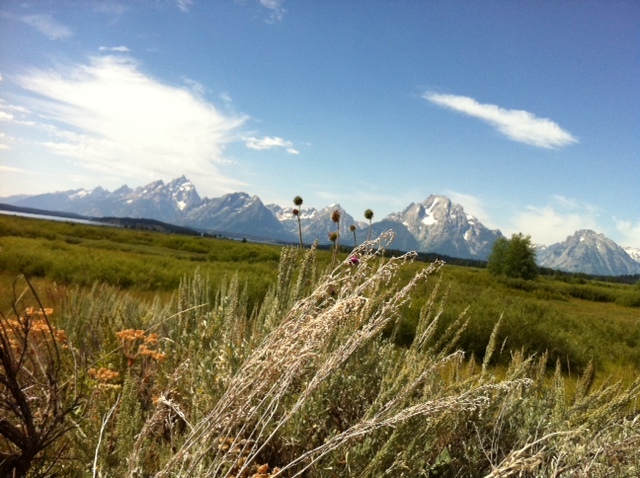 I’m guest blogging to introduce C.M. Mayo readers to my storytelling experiment. Storytelling is the idea here— something that happened, a moment, an event. Something small; something big. Could have happened to you, or a friend, a coworker, relative, or someone you met at a café. Just needs to be true. Like C.M., I don’t pay. But I do edit, and sometimes rather vigorously, rewriting being the essence of writing. I encourage you all to think about stories you might have. Put ‘em down and send ‘em in. Amazing stories from the master storyteller in U.S. journalism. Trillin tells the story of Edna Buchanan, ace crime reporter for the Miami Herald; of Ben and Jerry’s Ice Cream; of the battle surrounding the estate of doo-wop crooner Frankie Lymon. The story on John Zeideman, a young man who died in China, is terrific. Stories of how people died violently, by the master again. “Todo Se Paga,” about the Casa Blanca neighborhood of Riverside, California, is fantastic. Stories from Latin America by a great reporter. Her story on the trash boss of Mexico City is a gem. Okay, it’s fiction, but the kind of stories to read when you’re writing true tales. What we’re after is nonfiction stories that read like fiction. My books. They’re great. Stories of the Michael Jordan of Oaxacan Indian basketball; of the Henry Ford of velvet painting; of the Tomato King and the Popsicle Kings; of a lynching in a sweltering backwater; of how opera emerged from Tijuana’s broken and cacophonous streets; of Chalino Sanchez, the most influential musician to come out of Los Angeles in the last generation; And, finally, of my escape from Mexico, chased out by wacky, drug-smuggling old world German Mennonites from northern Mexico. That’s all folks. Really would love to see some stories. This is getting fun. What I’ve seen up to now is great and I can’t wait to see more. 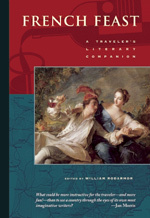 Recent recent guest-blogs include novelist Eric D. Goodman on train stories; novelist Susan Coll on comic novels; and poet and translator Richard Jeffrey Newman on the Shahnameh. What do best-selling historical novelist Sandra Gulland, marketing guru Seth Godin, genre-writer Joe Konrath, spirituality writer Mare Cromwell, goddess and tarot expert Kris Waldherr, and Kevin (What Technology Wants) Kelly have in common? They've all made a foray into the swashbuckling and glitch-ridden landscape of self-publishing e-books. Add Yours Truly to the growing list. 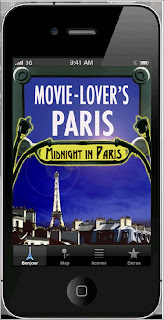 No, I have not abandoned my publishers, but I am publishing some of my own e-books. In 2009, when Unbridled Books published the hardcover edition of my novel, The Last Prince of the Mexican Empire, they didn't waste more than a moment before bringing out the e-book. It was news in 2009, though it isn’t anymore: the e-book market is exploding. And what of my other books? Like the above-mentioned writers, with several books published more than a few years ago, I own the digital rights because my various publishers didn't care to keep them or, going further back in time, didn't even contemplate them in their contracts. I figured, how difficult can it be to upload an e-book? So I expanded my writing workshop company, Dancing Chiva, into publishing and, voila: a catalog of e-books. 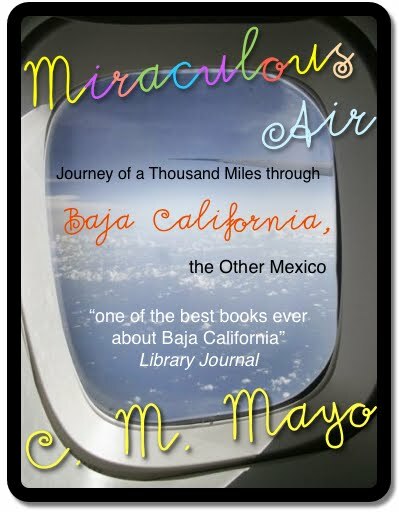 Miraculous Air, my memoir of travels through Mexico's nearly 1,000 mile-long Baja California peninsula, is the one I am most delighted to have been able to turn into an e-book. Based on my travels in the late 1990s, it's a book I put both shoulders and heart into, and even now, more than a decade later, I think it's one of the best things I've written. Originally published in hardcover by University of Utah Press, and still in print in a paperback edition from Milkweed Editions, it has found many readers over the years but, I know, travel books are the most fun to read en route, yet, with suitcase space at a premium, even the most avid readers often pass them up. Got a Kindle? Problem solved. But preparing e-books-- as Kevin Kelly's blog posts should have warned me-- has not been as easy as I anticipated. First, one has to prepare an absolutely clean unformatted Word doc, a tedious and frustrating task when it comes to a nearly 500 page book originally written in Wordperfect. (True, for a fee, I could have farmed out that job, but I wanted to learn how this works.) It turns out that, though one can convert a Wordperfect to a Word doc easily, when it then goes through the program for e-books, the punctuation comes out all whichwaysly wacky. (What to do with a 500 page manuscript where every dash is now a question mark?!) 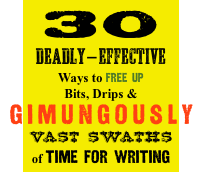 Then, the programs for converting Word docs to Kindle are riddled with glitches: figuring out how to address these required many hours with my computer coach (bless you, Rubén Pacheco). Then, there are more decisions than turn-offs on the highway through LA: ISBN? Tags? Which comes first, the Kindle or the Nook? PDF or iBook? How to navigate amazon.com, itunes, and etc? Which program to use for the cover? Cover image? 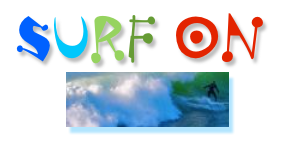 Font? What to do with the maps?! What price? And now, publicity. Ayyy... Buy my books here. 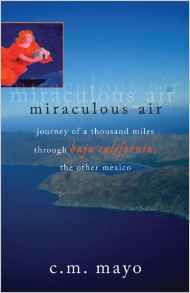 Read all about Miraculous Air. Kindle version of Miraculous Air here. In sum, I have been getting an all new appreciation for the multifaceted and time-consuming work publishers do. What I want to do is, um, write. "There are several works I want to publish but that I know are not commercial, so in attempting to place them with an agent or directly with a publisher, I would be wasting my time and theirs. But I believe in these works; I know they have readers, relatively few as they may be. 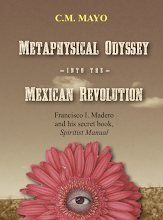 For example, this November, I am publishing my translation— the first into English– of Francisco I. Madero’s Spiritist Manual. Mexican historians have written about this unusual and little-known work, and it certainly deserves to be brought out in English with a proper introduction. Why not for its centennial?" 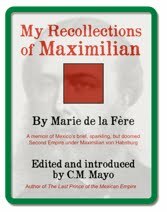 Later this year I will also be publishing an e-book edition of a very unusual memoir of 1860s Mexico, from the Bancroft Library, Marie de la Fere's My Recollections of Maximilian. In writing my novel, The Last Prince of the Mexican Empire, I came upon this and several other works (most in the public domain) that I would love to be able to bring out of the musty back shelves of libraries and share; with Dancing Chiva, I now have the platform to do it. Similarly, my essay, "From Mexico to Miramar or, Across the Lake of Oblivion," about a journey to the Emperor of Mexico's castle in Trieste, Italy, is not, on its own, long enough to interest a traditional book publisher. (They prefer to publish books with spines.) But there are people interested in Maximilian and Trieste, and willing to pay a small fee, thank you very much, to download the e-book. Nonetheless, when I have a new novel, believe me, I will send it to Unbridled Books because they know how to get reviews, get the book out of the haystack and into quality bookstores. We can't be all things to all people. Time is scarce. As someone who writes, I am glad indeed that there are people out there who want to take manuscripts and turn them into books, and then find those books readers. Alas, a realistic assessment of costs and benefits is not easy. My own experience, including my recent adventures in e-book publishing, has shown me that writers tend to underestimate the amount of work publishers do. Though publishing e-books has been more time-consuming than I anticipated, knowing what I know now, I would still bring my older books into digital editions under my own imprint and publish works I believe in but that would not appeal to a traditional publisher. On the other hand, I want to spend most of my time writing, so when it makes sense for me and for them, I will continue to work with established publishers. But when it doesn't make sense, how wonderful to be able to publish what I want to publish! The amazing thing is, this is true now for anyone with a computer, an Internet connection, and the determination to do it. Deborah Batterman, "Self Publish(?) or Perish: 5 Links on the New Digital Imperative"
Daniel Crown, "The E-Reader Boom Begins"
Novelist Sandra Gulland, "E-Books: Feast or Famine for Writers?" Novelist Nina Vida, "How One Writer is Riding the E-Book Revolution"
Seth Godin, "You Should Write an Ebook"
Joe Konrath "What Works: Promo for Ebooks"
Nate Hoffelder, "Vook Explains Why $3, $4 or even $9.99 Isn't Always the Best Price for an eBook"
Christian Harder, "E-Reader Reality Check: 4 Limitations to Consider"
C.M. Mayo, "At Play in the Fields of Keynote: A note on designing e-book covers"
--->For the complete archive of guest-blogs, click here. 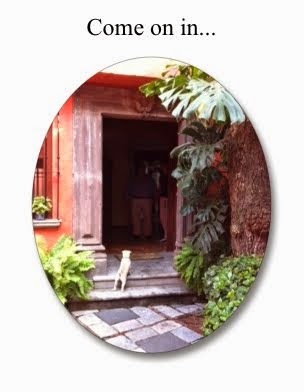 Update on my other blog, Maximilian ~ Carlota, for researchers, both serious and armchair, of Mexico's Second Empire, the tumultuous period also known as the French Intervention. Imagine if your dentist also enjoyed an international career as a leading shoe designer, or say, your neighbor the Hip-Hop star turned out be, by day, an high-level insurance executive. 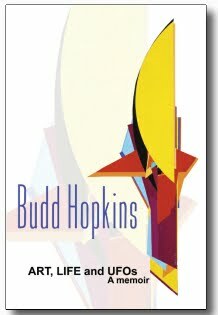 Those are just a couple of the bizarre analogies that come to mind when I think of Budd Hopkins's tandem careers as a world-class abstract expressionist, palling around New York City with Motherwell, Kline, Rothko, de Kooning, and others, and as a leading researcher of the UFO abduction phenomenon. I first heard of Hopkins several years ago when I began to read about UFOs, originally as research for a fiction project and later, out of genuine curiosity. Curiosity: strange, how little most people have when it comes to UFOs. (Want to clear out a dinner party fast? Just bring up the subject.) Perhaps this is because it takes more courage than most people have in the face of such disturbing information. Disturbing indeed; horrifying. Yet, subtract all the UFO material and Hopkins' beautifully written memoir would still be fascinating and important reading. For me a crucial question is, what does it take to fuel serious art-making decade after decade? There are thousands upon thousands of artists, most of them ambitious kids and a few middle aged wannabes. But to continue to make serious art after those first workshops, after the first, second, and fiftieth rejection, and into one's 60s, 70s, and beyond, takes a very rare fuel, a kind of stubbornness wedded to vision and infused with playfulness and curiosity. Curiosity: there's that word again.